More tubes came with the Pure Sound L300 linestage that sat atop this Lovan rack. 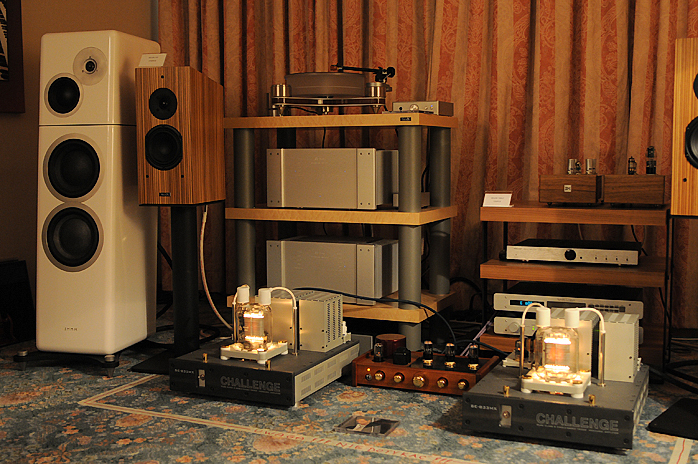 In the British/Chinese preamplifier the lone (?) 300B sticks its head out of the cover but is protected by two rails. 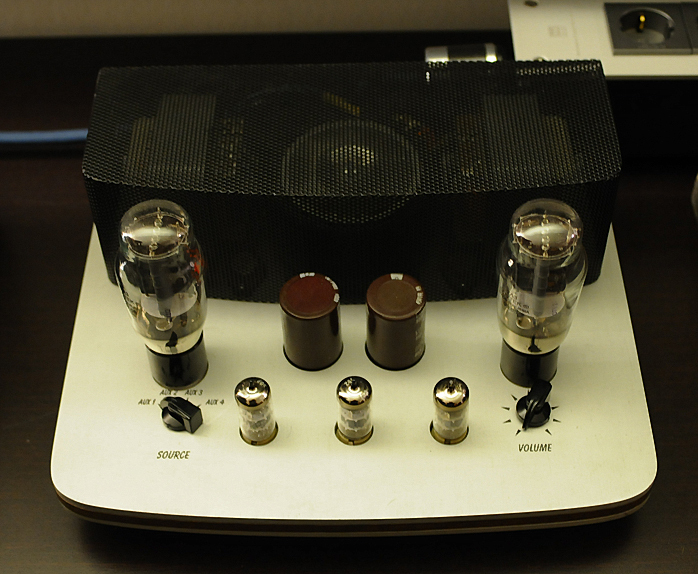 A Pure Sound A 8000 CD player was another tube-assisted affair and the A10 power amplifier of the same brand was another yet didn’t look like a family relation and more of Italian descent. Speakers on duty were AudioPlan Kantata, 2-way bass reflex types rated at 86dB, covering 50 to 22.000Hz +/- 3dB made in Germany. 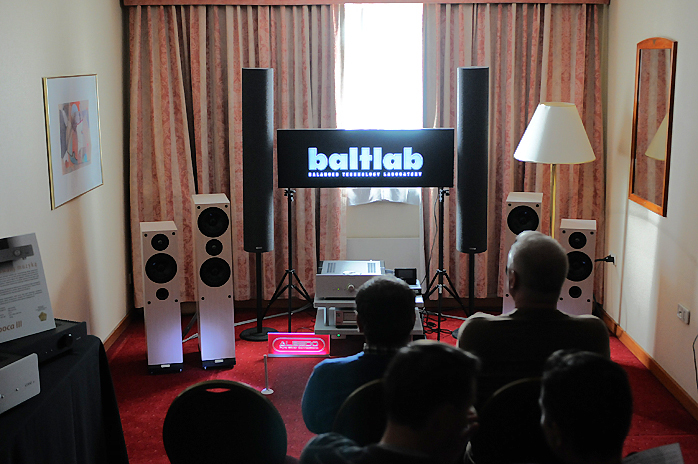 A room full of TAD from their 600 Series of source, preamp and power amps together with matching speakers though the Compact Reference 1 was cloaked and not connected. This was a pricey combination but as with many one-make systems very convincing. 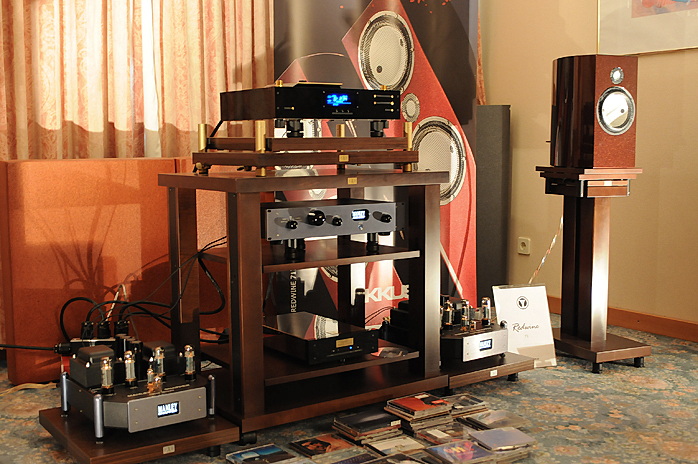 The German Block brand works under the banner 'audiophile products for everybody' and offers a complete line from source through amplification to loudspeakers and cables. 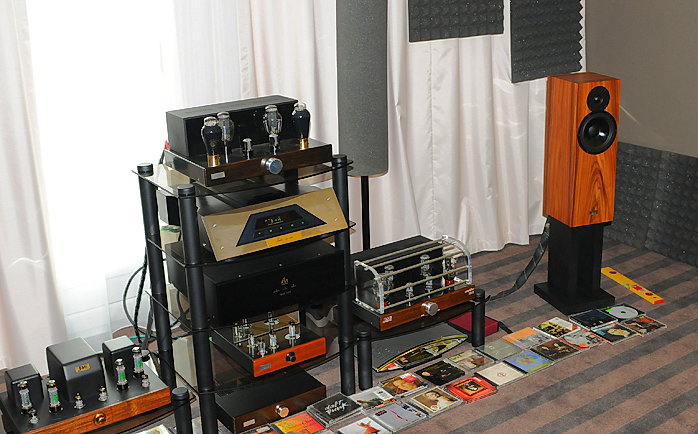 This room focused on electronics from their 100 Series and became another proof that to enjoy music one needn't break the bank or law. 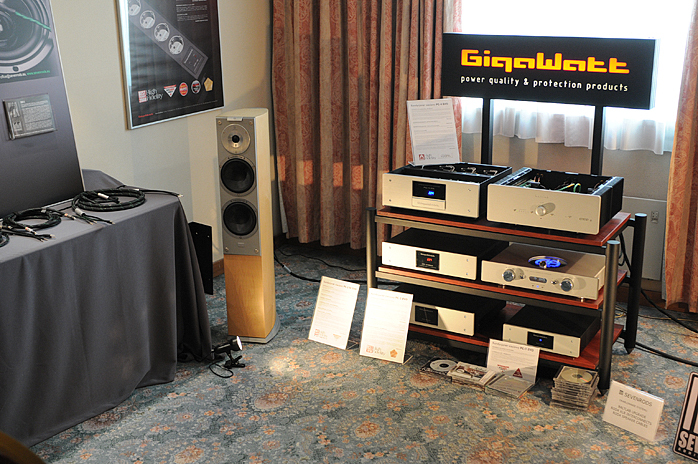 GigaWatt takes power conditioning serious and showed several models from their extensive line-up. We saw the PC-4 Evo at work with a 110wpc Baltlab Endo 2 integrated while a PC-3 SE Evo supplied the SACD player with clean and stable power. 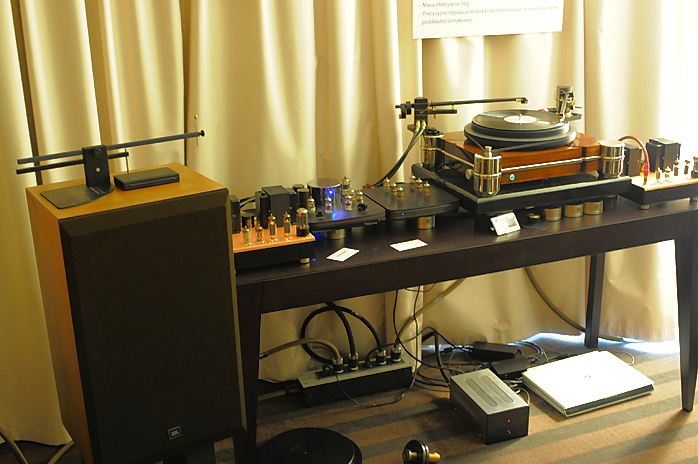 Audiovector was responsible for speakers in the room and Polish Sevenrods supplied the cables as well as modified the Baltlab integrated amplifier by upgrading its cabling between preamp and power amp sections. 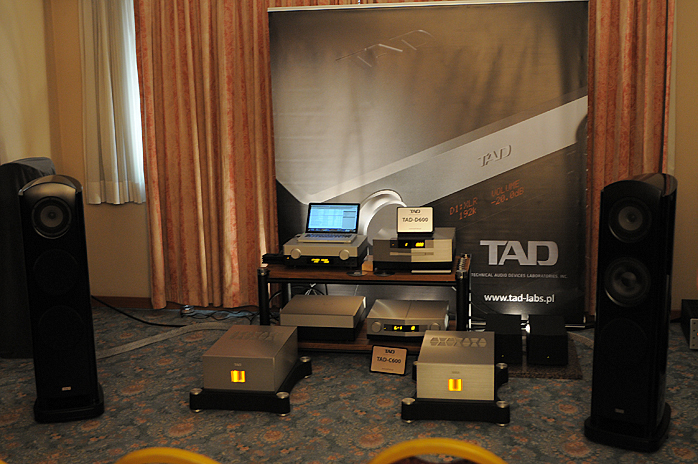 We already mentioned the driver used in the surprising Estelon loudspeakers from Estonia. This Accuton ceramic unit clearly offers a great foundation for building on further. 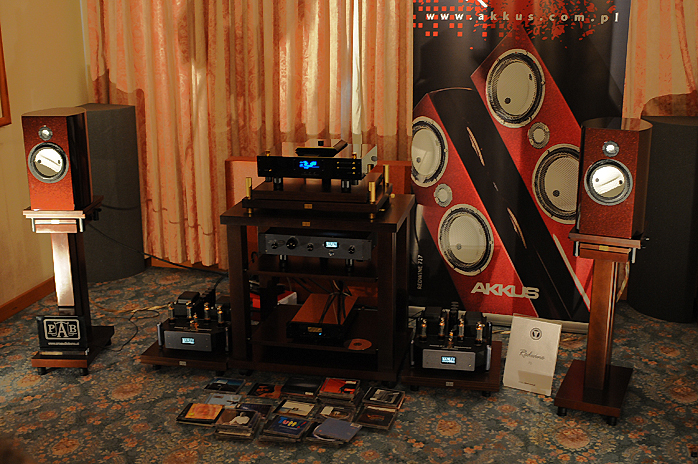 Mounted on a solid Pro Audio Bono stand here the Akkus Redwine 71 two-way made its premiere. The also PAB-supplied very nice-looking audio rack housed a Manley Shrimp preamplifier whilst two separate amp stands held Manley 100wpc Snapper power amps. Then to the sound. For music from a digital source this was the tightest most gripping presentation in a normal-sized room we’d heard thus far. 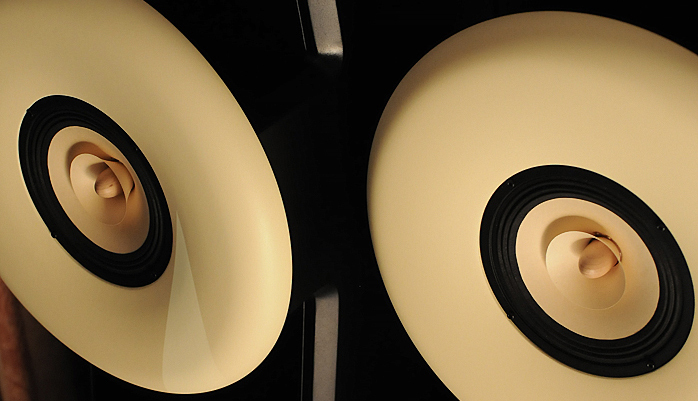 These small speakers could not only rock out but allowed the listener deeper insights into the music. This was a very good room. 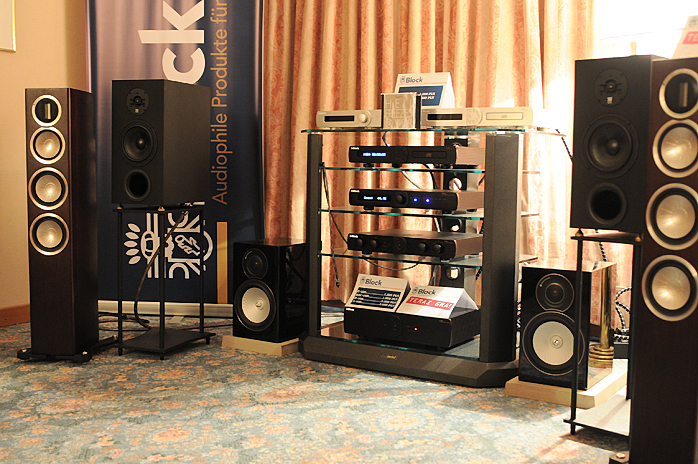 In the next room we met examples from Shan loudspeakers of the Czech Republic. Playing was an Icebox 2 set, a white three-way bass reflex speakers as an extended version of their Icebox 1 stand-mount (just the top section). The audio rack also had surprises like a vintage Counterpoint—handcrafted in California—DA 11 CD transport and matching DA 10 DAC. 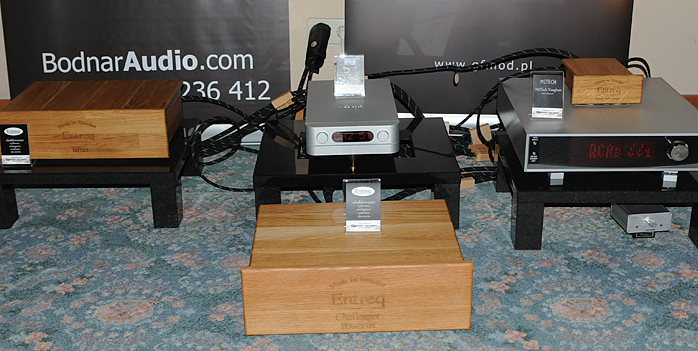 But the absolute winner were the Ukrainian Challenge SE-833MX monoblocks. With lethal supply voltages on PG-48 (aka 833A) power triodes in a class A circuit, this pair output 80 watts over 20 to 28.000Hz. With a power consumption of 400 watts these 52kg/ea. room heaters aren’t green but with their looks most won’t care. If there’s a green light, there is certainty a Naim. A Polish cable manufacturer teaming up with another Polish cable manufacturer is what Albedo and Ansae did. 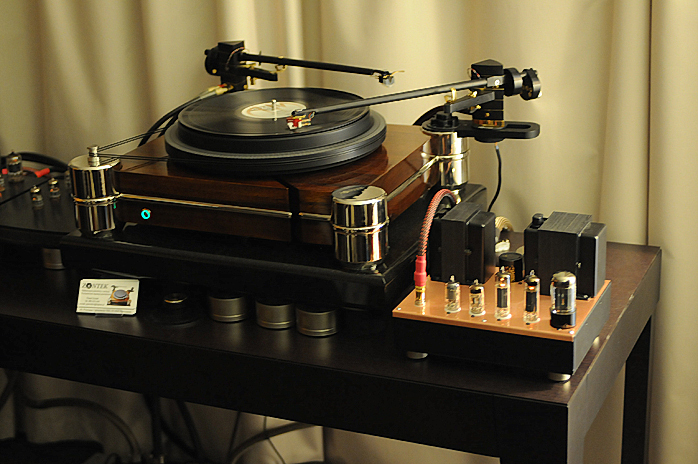 Albedo makes audio cables from scratch. They start with raw silver for all of their cables and melt down that metal slowly in an argon furnace to prevent oxidation, then slow-draw square or rectangular conductors in favor of the traditional round sort for far better control over skin effect, inductance and capacitance. Sheathing is silicone as protection for the pure silver. All work is done by hand on specially built equipment and 100% Polish. 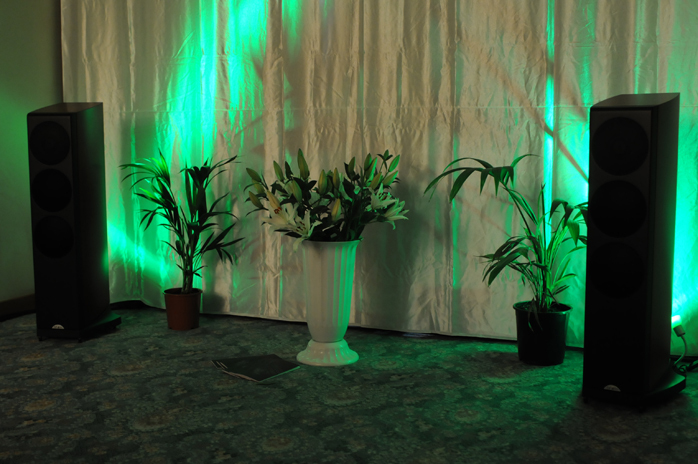 This room used the top Albedo Metamorphosis. 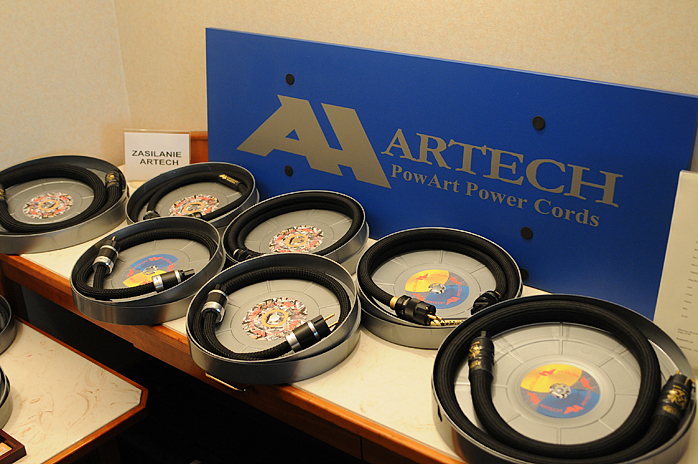 Ansae meanwhile promoted their new Pure line of power cables and an enhanced version of their Supreme power cords. Power is what makes Ansae tick. This was demonstrated also with several of their tall Power Towers. Their upright design makes for more effective vibration control according to the manufacturer. This power filter uses no inductors and parts are sourced from Furutech and Carling Technologies. The Power Tower SE sports 3 outlets and the Supreme a single one. 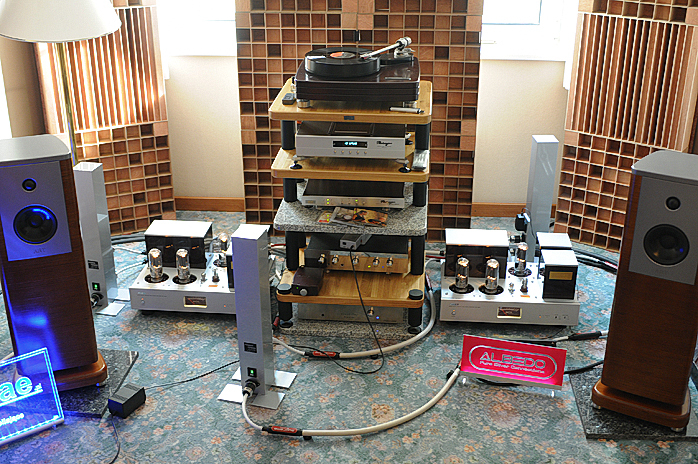 Reimyo electronics sat in the rack, power amplification was handled by a pair of Triode Company TRX-M854SE 211 845-based 50wpc monoblocks and loudspeakers were Art Alnico Precision. ASC Pentoda belongs to Roman Dyrzbánski. His goal is to revive the sound and musical atmosphere of the 60s and 70s. 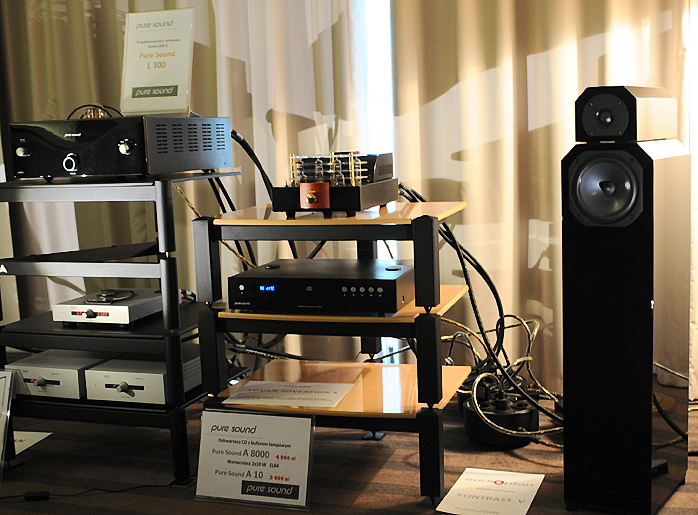 He used simple Pioneer and Panasonic sources for his hybrid amplifiers. 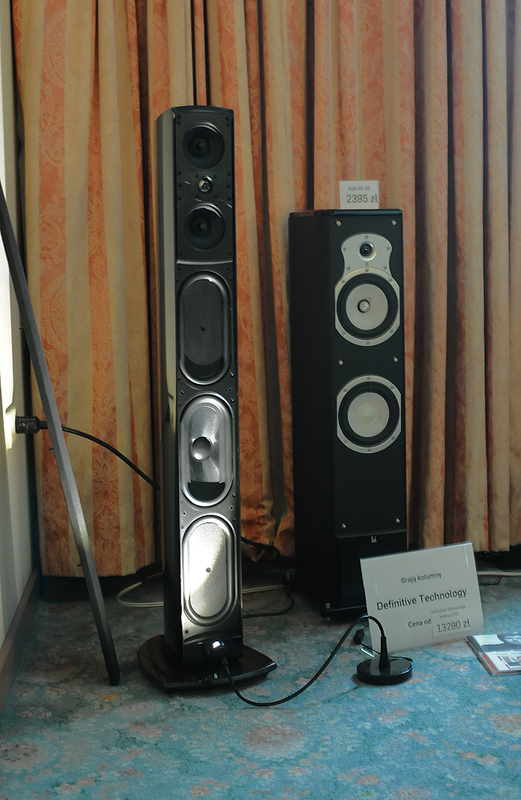 We liked the prototype of an upcoming model in combination with a somewhat strange-looking ‘laboratory’ model loudspeaker best. With CD for source the atmosphere was not strictly 60s/70s but the boy-in-a-room-with-a-hobby vibe was intact. ... When the crowd had settled down he played a piece of highly dynamic music with lots of brass which sounded absolutely stunning. Thanks to UK distributor Greg Drygala of G-Point Audio we learnt later that we had been listening to the 1978 release of Chuck Mangione’s Children of Sanchez. 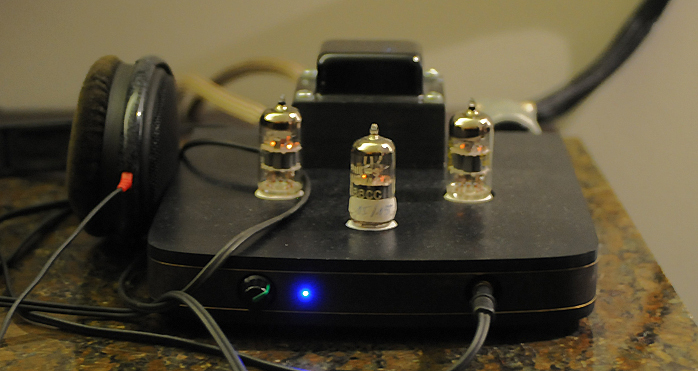 Amplification was by vintage Leak-based power amps fully modified by Robert Szczerbowski of KBL Sound. 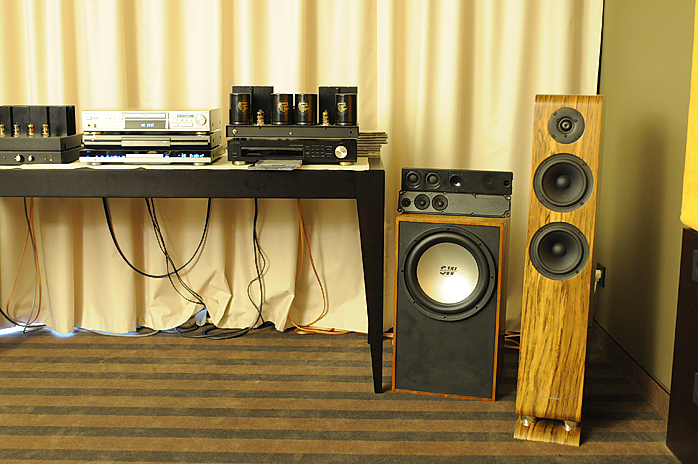 The same company was also responsible for all cabling, footers and the thoroughly modified 1981 JBL loudspeakers used. 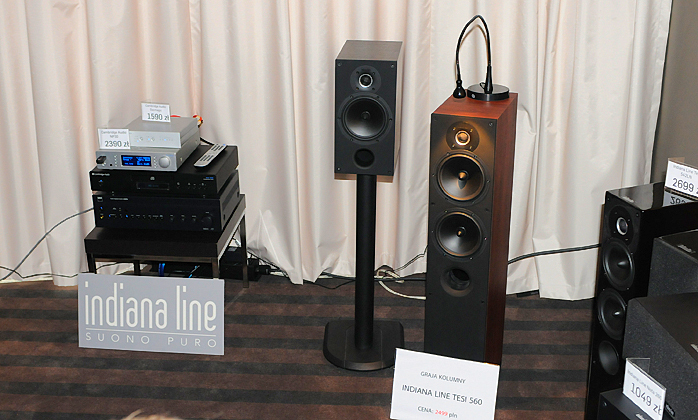 Back down on earth we visited the Indiana Line room where budget-friendly gear was the name of the game and Cambridge Audio electronics coupled to the Indiana Line Tesi 560 loudspeakers. 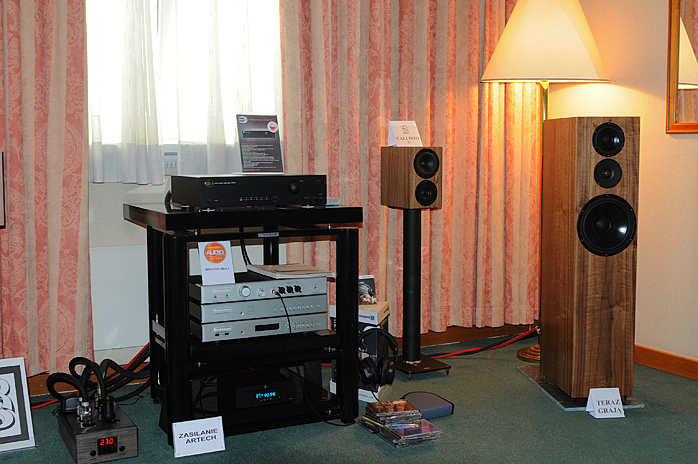 Duevel Venus loudspeakers spread music around as assisted by Cary source and amplifier. 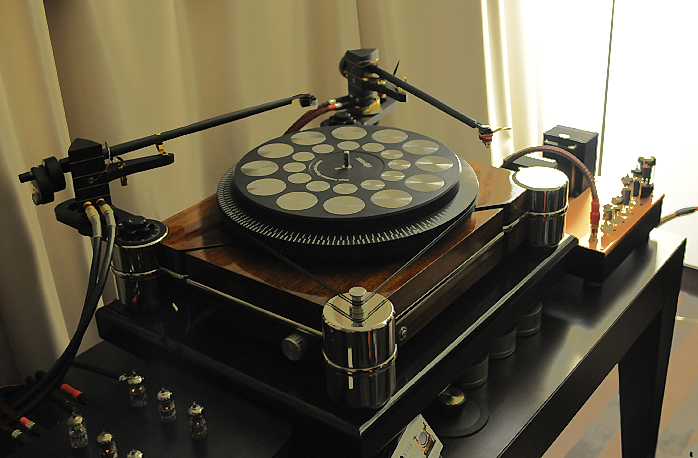 Audio Physic’s Virgo 25 got its musical signal from a Burmester 082 integrated amplifier that was either fed by a Burmester CD player or an Acoustic Signature Storm turntable. 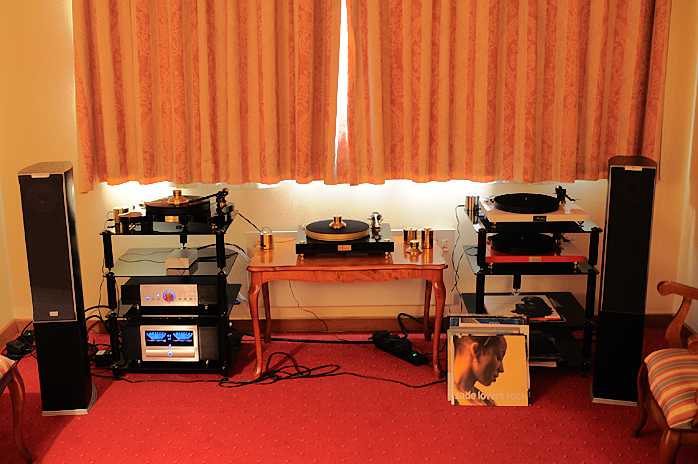 Not only a friendly view but also coffee were encountered in the next room where Davone’s retro-styled loudspeakers teamed up with Manley Labs and a dps Bauer Audio turntable. This was a lovely very homey room. 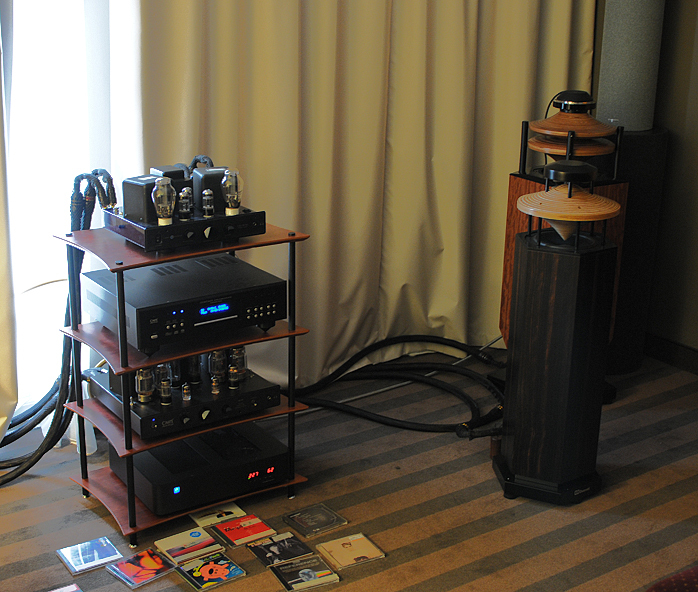 A Rogoz rack with Bryston equipment and a 150wpc Polish Struss R150 integrated amp came next. 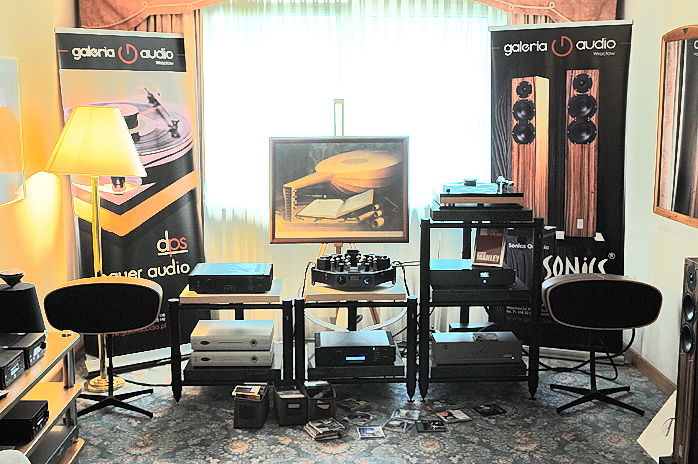 The stand-mount loudspeakers were from Polish manufacturer RLS called Callistro III. Polish cable maker Artech was in charge of power cables and the dual-rail power filter seen left of the rack. As you can also see, whenever any indication of actual wall voltage was on hand, the hotel suffered quite some irregularities. In this room at this time the incoming voltage was a proper 230V. Active American loudspeakers from Definitive Technology by way of the Mythos STS and Roth Audio Oli from the UK sat brotherly side by side. ... Pawel Bodnar chose Hungarian Sonido drivers which suited him best for their price/performance ratio to beat the better known makes. He mounts these drivers on a wide curved baffle to get the best refraction-free radiation pattern. The Sandglass speakers designed by Mariola Bodnar come with full-range specifications, 95dB sensitivity, 8-ohm nominal impedance and are 160 x 37 x 45cm in size. There is a version with an 8-inch driver and for smaller rooms one with a 6-inch widebander. Remarkable about the latter is that it can be turned upside down to have the horn mouth either point at the floor or ceiling depending on room influences..
... All models in the Sandglass range can be finished to order in paint, lacquer or 11 different leathers (white leather – wow). Single-driver horn systems have a very special something that used to come at a price. Now Bodnar opened up that market segment around €4500 to broaden access to that special experience which SDH can provide. That price is per pair of course! We’d seen Baltlab before, albeit in upgraded form. 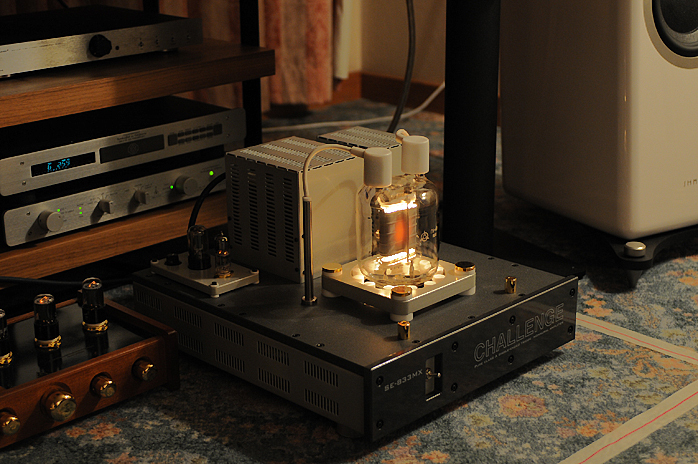 Now we met the original Endo 2, a fully balanced amplifier without any feedback. Polish Audio Academy Phoebe II and IV loudspeaker were commissioned to get musical signal into the room and Albedo was in charge of the cabling. 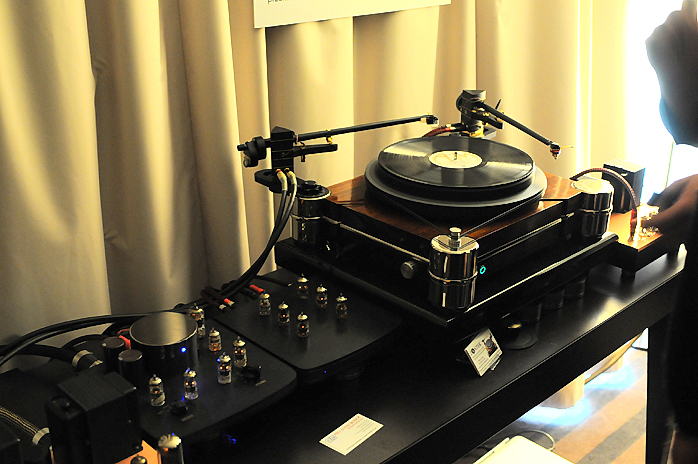 This complete made-in-Poland system sounded nicely coherent and dynamic. A complete revival or in name only? Either way this was Fonica and that meant turntables still or again. 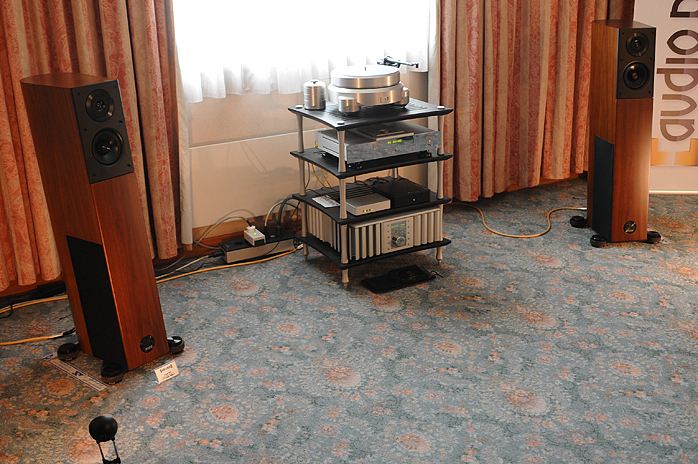 The room had four on display, one curved F-600 model and one F-800 with a square granite plinth. Two other models which we could not identify looked more like entry-level models in fashionable white and red. To paraphrase Frank Zappa, vinyl is not dead, it just smells funny. 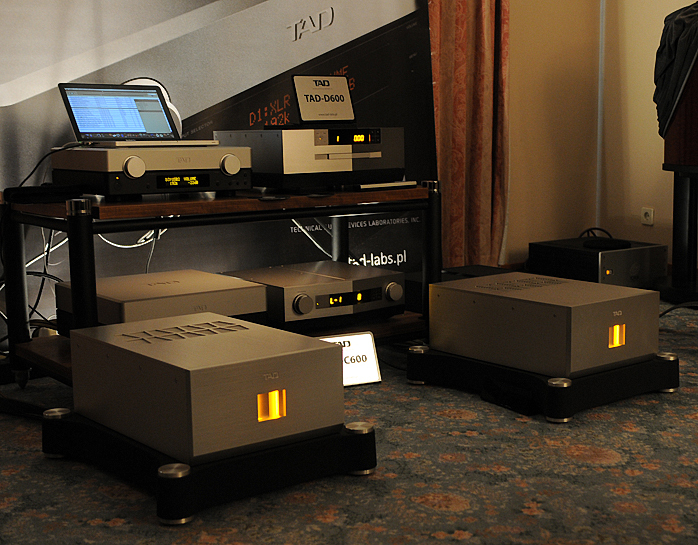 Jag presented their 300B and EL34-based amplifiers. 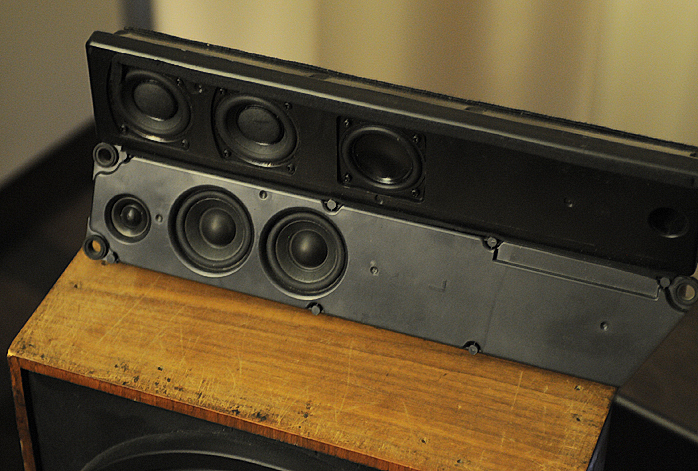 The former used black Psvane 300B-T in combination with clear versions. 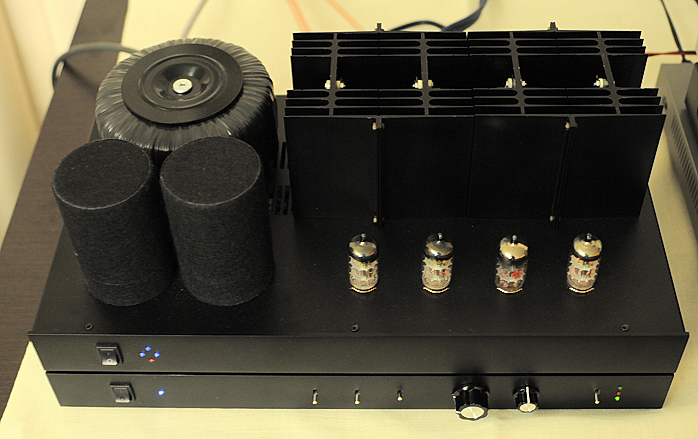 A Jadis JD2 CD transport bundled with an Audio Note DAC 3.1X as source, at the other end of the chain a pair of Jag loudspeakers. In our opinion the music in this room wasn't so boring as to favor reading a book like the gent in the photo did. But perhaps two days worth of non-stop sound had worn him out.